MAMA WONG is back in the FoF kitchen with another authentic Chinese recipe! 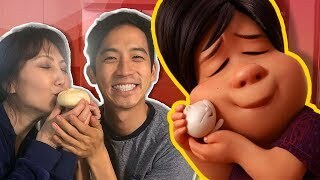 We're making BAO from Disney Pixar's short film 'Bao' A beautiful short depicting the relationship of a mother and son! Check out more episodes with Mama Wong! How to make BUTTERBEER from Harry Potter!